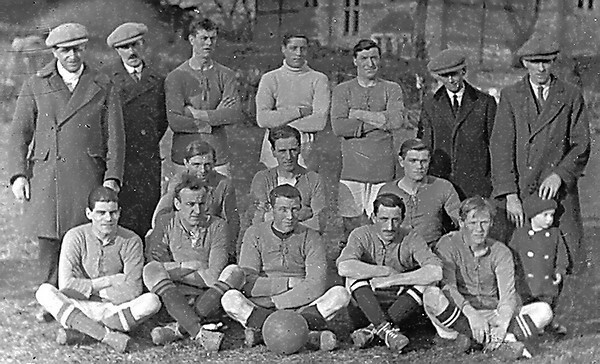 - Football Team - (BS0098) Outside Old vicarage before War Memorial built. 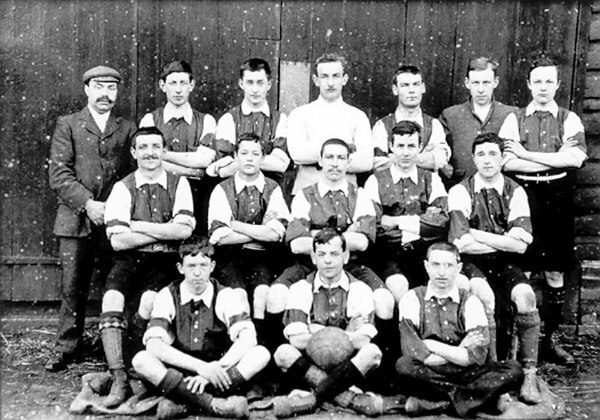 We believe to have some of the names here: Back row -> Wigmore, Whizzy Green, Alf Gurney, Joe Whchellot, Titney. Front row -> Harry Aldrige, Stan West, Fahmi (Egyptian), Green. Probably pre World War 1. - The Beaven family outside no.19 Littleworth Road - (BS0186) A Sunday about 1963. 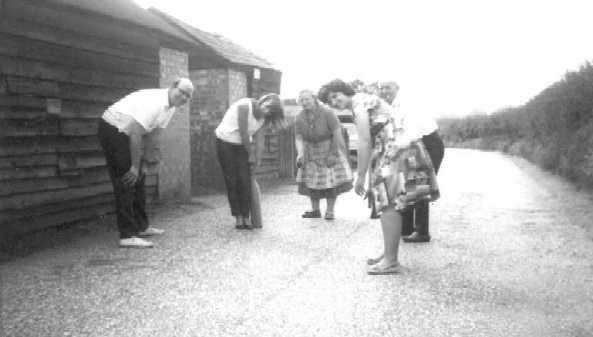 Left to right Ian Huntinford, Christine, Ethel & Tom Beaven, Mary Barton. Pandora Huntinford commented "We used to get very annoyed when traffic stopped play!" 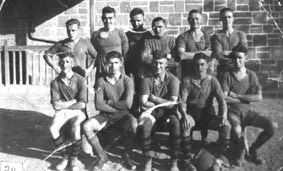 - Youth Football Team - (BS0203) 1920's ? George Gurney might know some names. Mr Gurney believes this is NOT a Benson team. 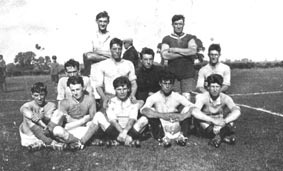 - Football Team - (BS0207) Not confirmed as a Benson Team. 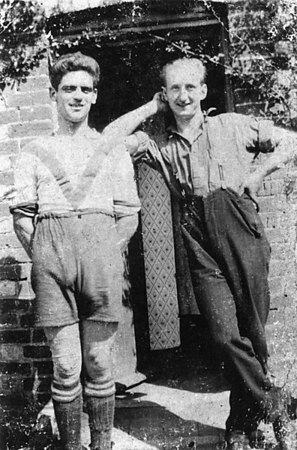 - Footballer and Friend - 1928 - (BS0234) Walter Field on the left. Right is Bill Lane. Outside Mrs. Lane's back door, Birmingham Yard. 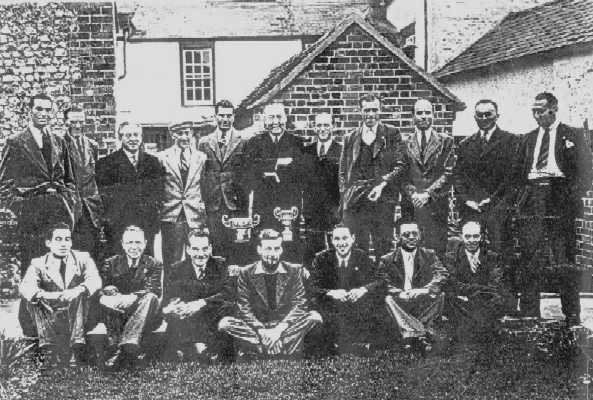 - The Sun Public House Darts team - (BS0256) Back row l-to-r: Burn Harbour, Mr Douglas, Mr Collett, Mr Vocking, Mr Frankham, Fred Young, ? ?, Mr Brannigan, Lionel Harvey, Freddie Parks, Scratchy Field. 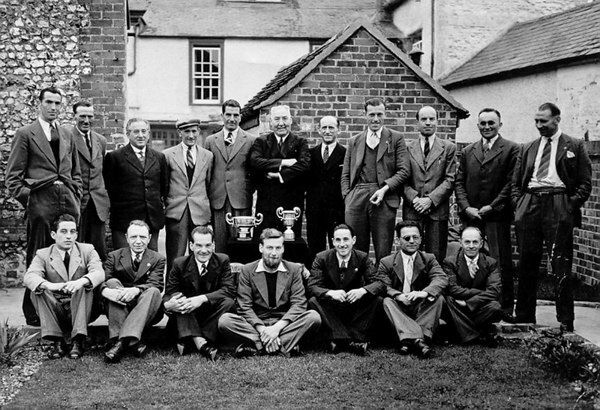 Front row l-to-r: Dennis Haines, Mr Townsend, Arthur Butcher, Mr Attwood, Bill Stroud, Bert Field, Tooter Cook. 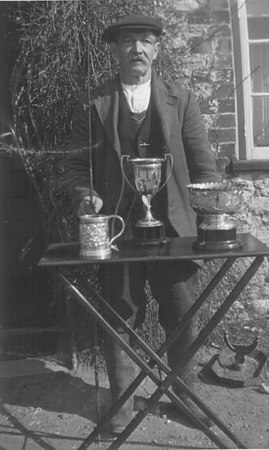 - Fisherman with Trophy - 1936 - (BS0261) "Joey" Lane.Several times winner Angling club prize giving. 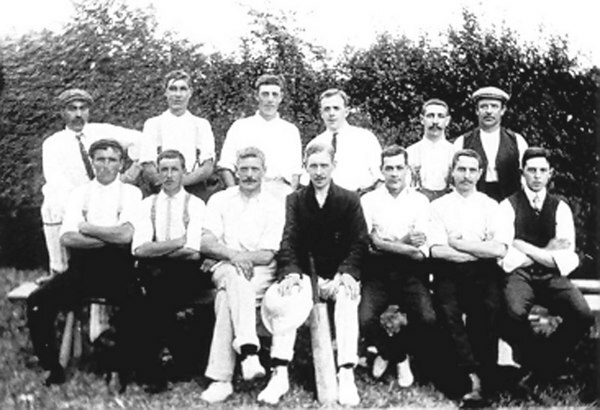 - Cricket Team - 1900s (BS0266) David Lane has original and can name some. Benson Cricket team. David Lane’s Grandad is in the photo aged about 25. - Ladies Cricket Team - (BS0513) See Silhouette below. Date? 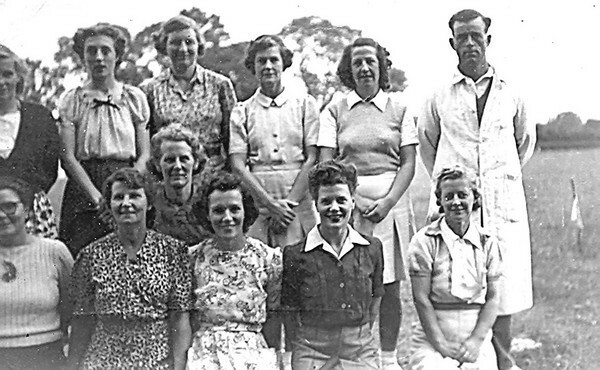 - Ladies Cricket Team - (BS0513) Date?